In any other situation, it might have seemed like an odd question. But having spent a couple of months in South Sudan already, I knew instantly what he was getting at. I stopped to take out my headphones and wiped the dripping sweat from my forehead. He looked at me with a puzzled expression, conveying equal parts apprehension and curiosity. His long purple robe hung from his thin frame. He would have looked rather frail if it wasn’t for the large metal rifle slung over his shoulder, swinging ever so slightly towards my direction. I smiled and shook my head, making sure to repeat his words in my answer so that he could understand my English. Most of the time when I go out on my runs, I get a positive reaction. The kids practically trip over themselves to come join me when they see me coming down the path, often fighting and pushing each other just to grab my hand (I haven’t figured out how to calm them down!). I really have never seen such level of exuberance before – consistently and repeatedly – from kids of any country. I think you’d have to tell a child from North America that they had just inherited 500 puppies, 1000 play stations and spiderman as a permanent playmate in order to elicit the same reaction. It is truly infectious (the only infection I’m not trying to avoid here) and one of the main reasons I continue to drag myself out of my tent in the mornings. Which is really difficult some days, not going to lie. However, occasionally my run brings out a very different response. About once or twice a week, when the kids see me running down the path behind them, it triggers a reaction I can only assume is pure fear. 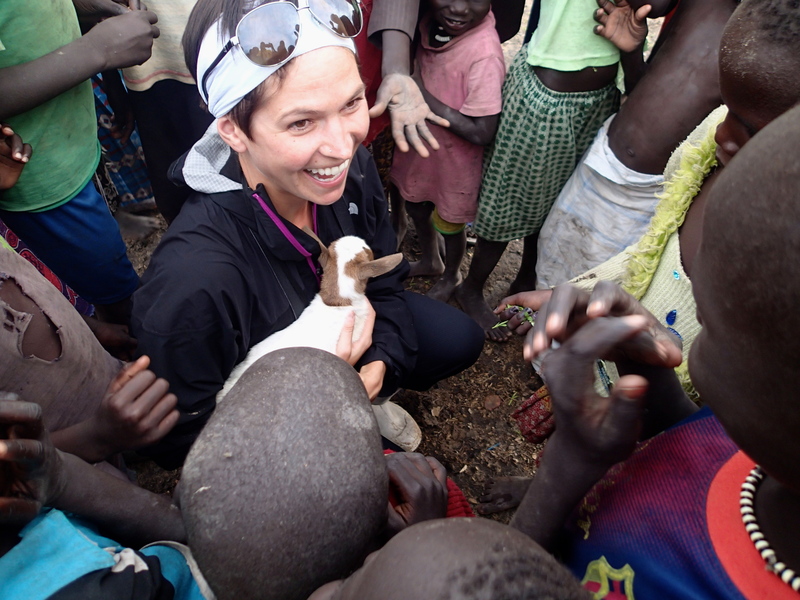 I can’t say I have ever really seen someone truly terrified – other than in movies – until coming to South Sudan, and it breaks my heart that my running can bring about that kind of emotion. Before I can say a word, the kids will bolt down the path or into the bushes to hide. One time I was able to catch up to one of the kids when he had simply tired himself out. His face was covered in dirt and tears and he was struggling to catch his breath through the sobs of despair. I desperately tried to comfort him by saying “it’s okay, it’s okay”, but I stupidly hadn’t thought to learn those words in Dinka ahead of time (‘doon rioche‘ means ‘don’t fear’, as I now know). It was a full five minutes of weird miming before the boy calmed down and smiled, realizing that I was just a crazy Kawadja out running around in circles. 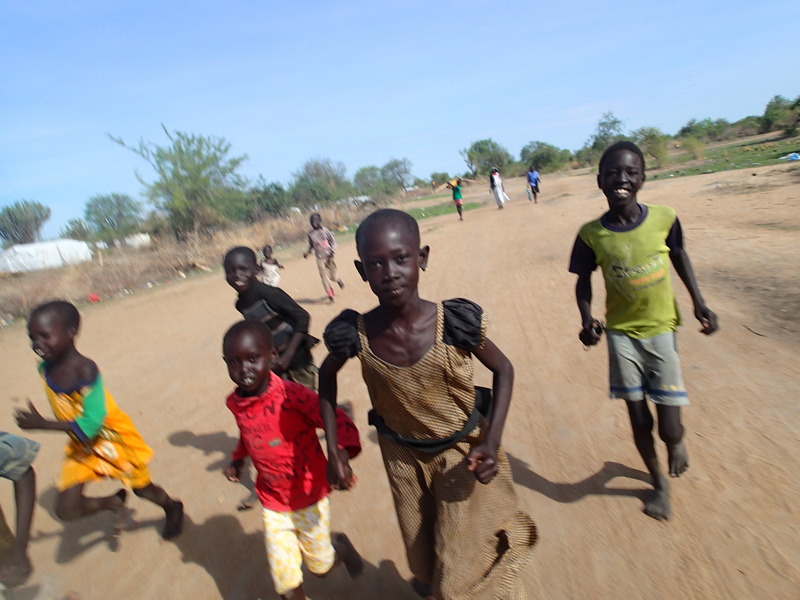 I’ve been told that the South Sudanese believe that the only reason why people run is to flee violence. The adults know logically when they see me that this is probably not why I’m running… but some of the kids have clearly been taught that when they see someone run, they’d better run in the same direction – fast. 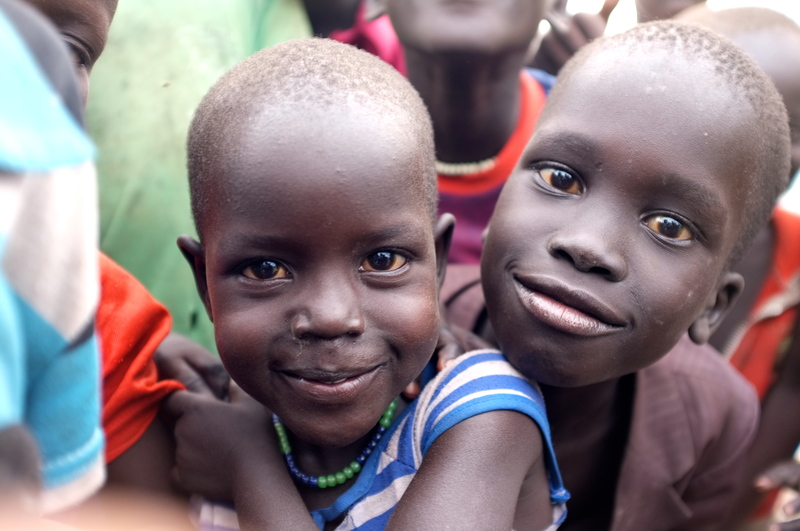 I worry that my running even brings back specific memories of violence that they have recently experienced fleeing Jonglei state before they eventually settled here. It is hard not to let my emotions get the better of me here – it has certainly happened to me a few times over the past couple of months. In some ways, I admire those who can work in a situation like this and stay completely unaffected. They are able to always carry out their work logically, sensibly, and efficiently. They don’t get bogged down with some of the questions that keep me awake at night. The ‘what ifs’, the ‘whys’ and the ‘how on earths’ can be consuming. Some mornings I wake up in my tent and I just can’t force myself to run – a rarity for me. Some mornings I just don’t have the strength to witness another child running away in terror. However, there is enough beauty here to keep me going, even amongst the garbage, the floods, and the sewage. I am really learning a lot about the human spirit and our capacity as a people to withstand suffering and tragedy. I’ve been amazed at the resilience of the families who have settled here, their ability to ‘start over’ (and not for the first time), and their willingness to smile at the drop of a hat. I can only hope to one day be so strong. I’d like to tell you about a few characters the keep my mental sanity in check here. I think the positive stories of this place (which I now affectionately refer to as the ‘Mingk’ for short) are just as important to tell as the sad ones, so here we go. 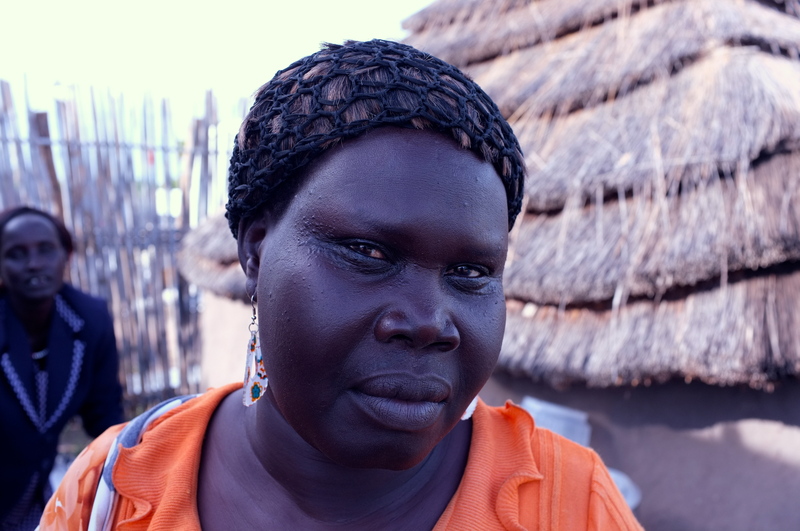 Lucia is the cook in our compound and also an internally displaced person (IDP). She arrived in Mingkaman in December and has been living in a makeshift tukul (hut) outside of our compound ever since. She is 35 with eight children. One day during our regular nonsensical conversations in languages neither of us can understand, I sensed she was telling me something important. I asked a colleague to translate and discovered Lucia was telling me she wished she could have gone to school and become educated. She thought she was too old now and it was just too late for her. I almost fell out of my chair and told her she was never too old. I asked her what she wanted to learn, thinking (stupidly) that she might say math or politics or even how to become a teacher. 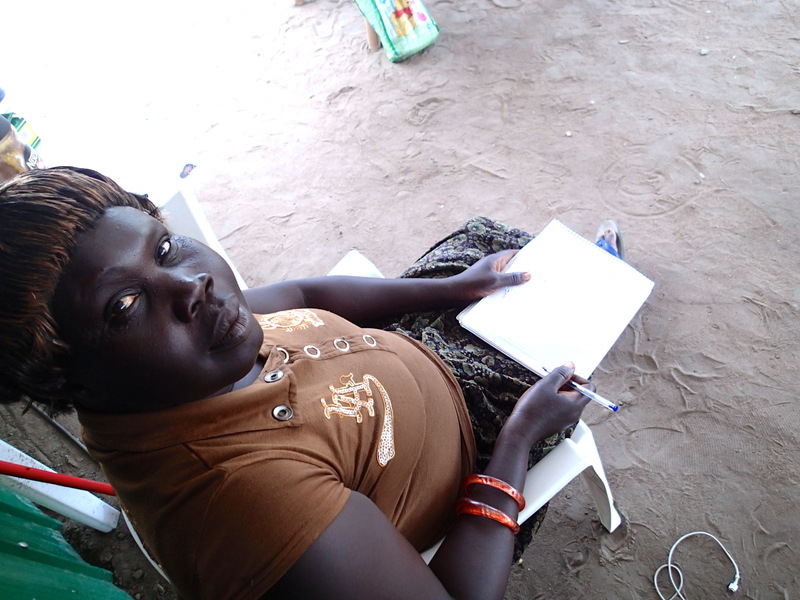 She replied simply (in Dinka), “I want to learn how to write my name in English”. Lucia and I now spend some time on the weekends working on her name. She struggles with the letters and has a long way to go, but seeing her copy her own name in English for the first time gave me enough ‘happy juice’ to keep me going for days afterwards. 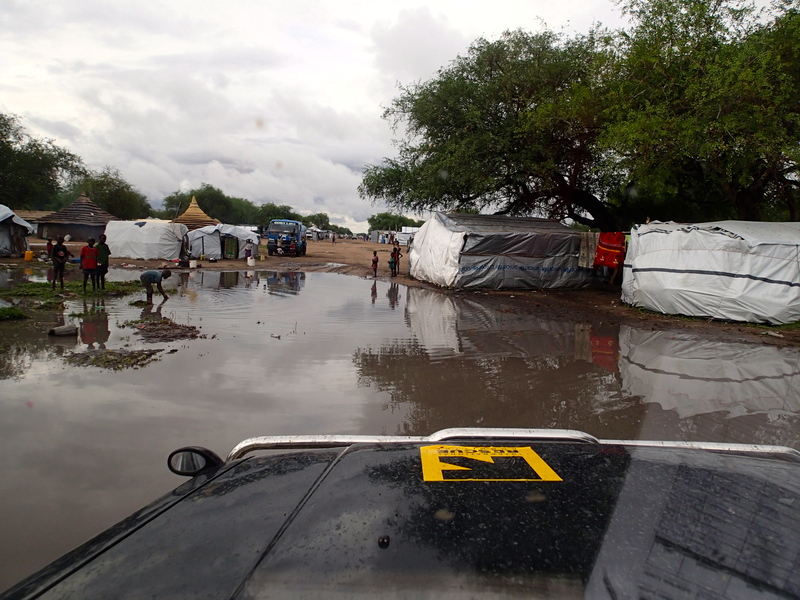 I manage nine staff in the field, six of whom are IDPs. Three of them live with me in the compound (aka tent city). Week after week, they surprise me with their commitment to serving the communities of which they are themselves a part, and they make me laugh with their humour. I have been counselled on the intricacies of dowry negotiations in marriage and other cattle mathematics. (Sadly, I have learned that I am much too expensive for the men in the area and my education would also scare them off – men want an educated woman, but not too educated.) One of my staff members even named his first born girl after me last month (baby Step-hanie, as South Sudanese people have trouble pronouncing ‘F’s!). One day I got annoyed with one of my officers for being 30 minutes late to work. Turns out he had come across an elderly woman who was without shelter and decided to help her right then and there access necessary services. Without their tenacity, cheekiness and camaraderie, I would probably have already gone home. Last but not least, I want to tell you about Majak…. my first kid. 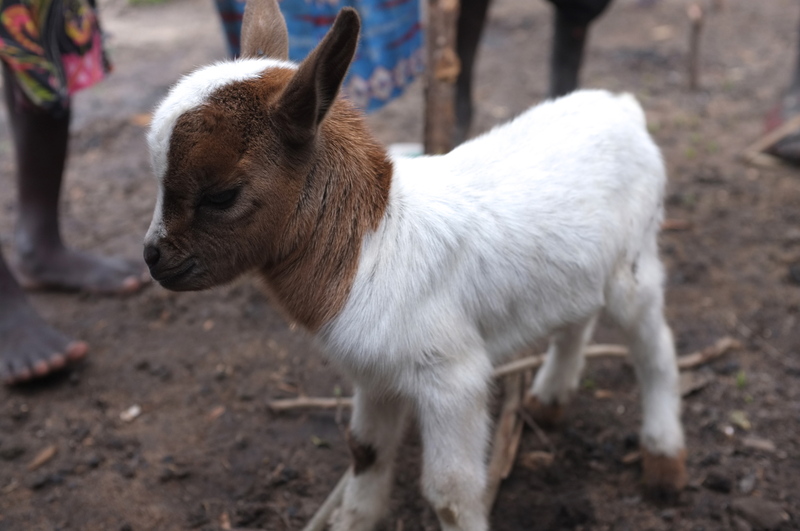 After an unfortunate goat slaughter incident in the compound, which had me comically in tears (much to the amusement of my African colleagues), I became determined to get a pet goat. Luckily, one of my officers agreed to raise the goat at his home for me (so long as I let him eat the mother eventually, sigh). After some careful searching, I found little Majak, who is just two weeks old. I don’t really need to explain why this little guy makes me happy – just take one look at him and you’ll know! Lots going on here and we’re already seeing some flooding with the heavy rains. It is sure to get worse over the coming weeks. But I’ve just got another couple of weeks to go and then I’ll get a much-needed break in Zanzibar, which I’m really looking forward to! Beach, cocktails, books… and perhaps a little mischief are in store. Things are also progressing really well with Free to Run, the NGO I’m establishing, so stay tuned for more info and the launch of our website (thanks to www.puzhr.com for being our pro bono design team)! Have you considered writing a memoir or perhaps a book of your experiences? 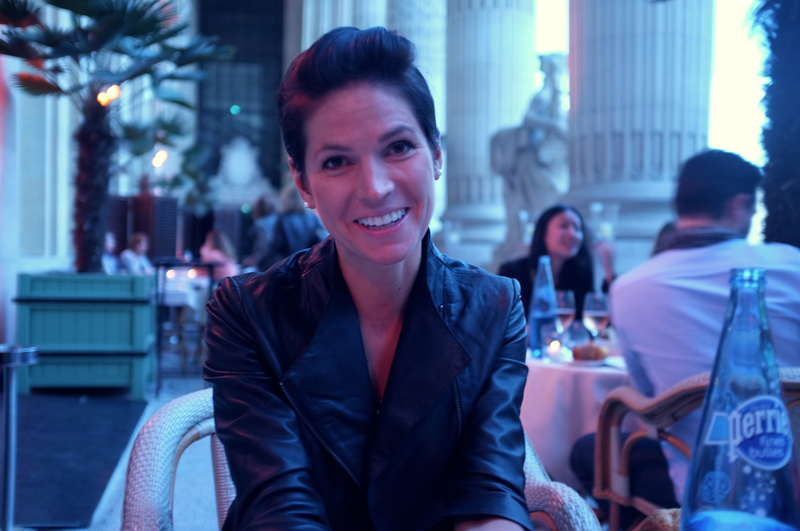 What a wonderful first-hand account of living and coping with a different culture. Your writing and your observations are insightful and original. Keep us informed about your NGO, Free to Run. Hey bcslimjim! Writing a book someday would be a dream (if anyone would be willing to read it!). Just need that million dollar book deal, eh? 😉 I’m just happy if I can keep my blog readers interested. I will definitely keep you all informed about Free to Run. Hope to have the website ready soon! Love this article. Thank you Stephanie! Thanks, Olya! So much to write about here… the stories just write themselves. 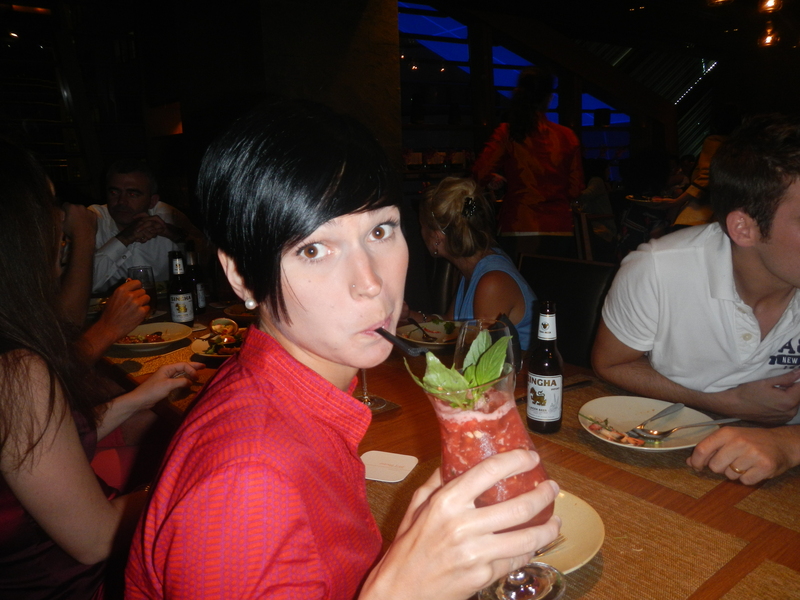 I love reading about your experiences Stephanie! Whenever things get stressful for me at work (I’m a lawyer too) I look forward to my next run to help me relax. I can’t imagine what it would be like if even that was taken from me! (Or made so logistically challenging) You’re an incredible person, hang in there! Thank you!! Where are you working as a lawyer? I definitely relied on my runs to help me unwind when I was in corporate law in NYC… Hard to fit in sometimes, but I would have gone crazy without them! With the rains here, the paths are becoming difficult. I’m worried my running will be cut off entirely, ack! London! I’m actually Canadian too, but practicing as a barrister here. I’ll keep my fingers crossed for you for clear paths. I would have been scared to death if a person with a gun stopped me during my run. I don’t think I would have been able to keep my cool, you are very brave! This was just the thing that I needed to read today. Sometimes you get so absorbed into your own life, you forget that there is such a different world out there. Definitely going to try aiming for that infectious happiness the kids get when they see you running! hey ultrarunnergirl, I enjoyed your post. 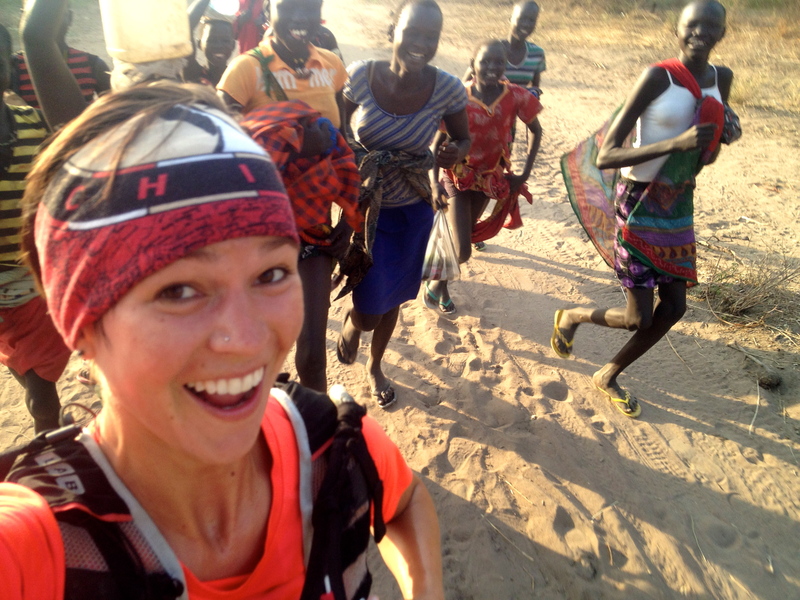 I thought maybe I was the only ultrarunner in South Sudan. I currently work for a US gov organization in WES. At first the kids would always run away from me too, but they soon got used to me running through their village everyday and would run alongside me as long as they could and the smaller ones always reach out for fist bumps. Always brightens my day. Keep up the good work. Thank you for sharing your experience. After reading this, i really salute your attitude. Stephanie!